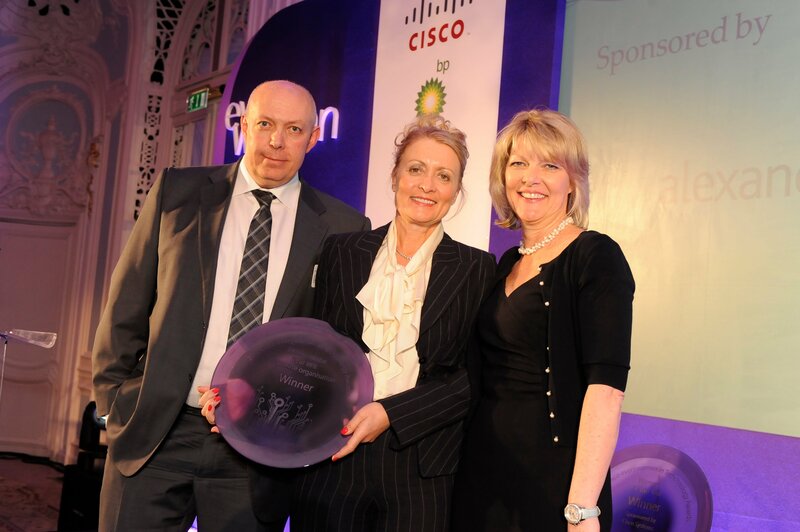 Winner Sheila Flavell, chief operating officer for FDM Group, along with Dave Heath, HR director of IT telco and healthcare, at Alexander Mann Solutions (category sponsor) and everywoman co-founder Karen Gill. After a variety of diverse roles, Sheila joined FDM in 1998 as UK Sales Manager, progressing to Marketing Director and Global Services Director. She became COO following a lead role in the management buyout of the company and now oversees Recruitment, Marketing, HR and Academy operations worldwide whilst focusing on new market penetration.